The Real Reason Why Your Goals Aren’t Working! A number of years back, in a fit of uncontrollable impatience during an event we now refer to simply as “The fence incident” I made the unwise decision to vault myself over the backward fence instead of using the gate which would, at least in my mind, take too much time. Looking back, I’m still impressed with the amazing height I achieved to ensure I would easily clear the top of the chain links. Unfortunately, I also lost all control resulting in an unscheduled trip to the emergency room. Turns out my shoulder isn’t supposed to be positioned where my sternum normally resides. That was over fifteen years ago and in the last few years I’ve really noticed that the flexibility in the dislocated shoulder has substantially diminished. Wanting to improve my joint and connective tissue health, I came upon something called gymnastic strength training. I’ve always wondered how men’s gymnastics can do positions on rings where they seem to defy the laws of physics. How is it their shoulders doesn’t rip out of their sockets? The key is mobility which is a combination of strength and flexibility. Former US Junior Olympic Gymnastic coach, Christopher Sommer, created a program (https://www.gymnasticbodies.com/) for normal people to learn joint, connective tissue, and strength training. He calls the training ‘foundations’ because all of the exercises progress toward doing seven foundational gymnastic positions including manna and straddle planche. Now honestly, take a look at these pictures. Actually performing a planche or manna is not my goal. My goal is to improve my mobility not to mention getting through just the first foundation level takes an average of 18 months. I’ve done a lot of different exercise programs, but I have stayed with this one three times longer than anything else (currently 9 months in). What makes this program so different and what can this teach us about goal setting? Let’s take a look at the science of goals. SMART goals aren’t the only key to success. In fact the science has evolved a lot in this space and what you may have learned historically about goal setting may actually drive the opposite of what you are working to achieve. Do Your Best Goals – You can probably discern from the name that these types of goals have no measurements associated with them. One is simply instructed to ‘do their best’. Using a sports analogy, if one were learning to shoot a free-throw, a do your best goal would be to improve their free throws over the course of a training period. Performance / Outcome Goals – This goal has a specific outcome such as achieving a free throw percentage of 80% or better by the end of the training period. Process / Learning Goals – An example of learning goals would be to learn the various fundamentals associated with a good free throw – for example learning the correct footwork on the line, how to aim the ball, the position of the shooting arm and elbow, the use of the legs, the importance of achieving a fluid motion, and the appropriate release and follow through of the shot. Almost all goals in the business setting are of the performance or outcome nature. They are easiest to measure – grow revenue by 5%, close 10% more deals, produce 25% more product, release new product by X date, and so on. These are the types of goals that have run factories for years and increased productivity. However, these goals don’t always work as intended. My favorite story on this topic involves the Marshmallow Challenge. Tom Wujec’s TED talk describes this challenge in which teams of four are given 20 sticks of spaghetti, one yard of tape, one yard of string and one marshmallow, and the teams are to build the tallest freestanding structure with the marshmallow on top in only 18 minutes. On average, team achieve a 20-inch-tall structure. However, when Wujec offered a $10,000 reward for the highest structure, the winning structure didn’t reach 20 inches. It didn’t even 15 or even 10 inches in height. At the end of 18 minutes, there was no winner. None of the team’s had a standing structure when the time expired. So what works for complex tasks? What goals drive achievement? In 2005, Seijts and Latham reported in the Academy of Management Executive about their research in which participants were asked to play what is known as the cellular industry business game. It is a complex game with multiple variables and changing conditions where the goal is to improve market share by the end of the game. Three groups were formed with three different goals –a ‘do your best’ group was instructed to simply ‘do their best’ to improve market share, the ‘performance/outcome’ group was asked to improve their market share by 20%, and the ‘learning/process’ group was asked to identify three effective strategies to drive market share. The result of this studied showed no difference between those with the “performance” and “do your best” groups. However, the “learning/process” group achieved twice the market share of those in the other two groups. But are learning or process goals always the best? Next we need to consider environmental factors. My youngest son told me a story recently about a friend in his math class that has struggled mightily with his grades. He had not gotten a passing score yet and his parents had taken away all privileges (extrinsic rewards) until he got A’s on his work (Performance / Outcome goal). Unfortunately, his friend’s grades didn’t improve. In this situation, the boy was operating under a “threat environment”. That is, his situation was not seen as a positive challenge to achieve a new skill but a threat to avoid further punishments and loss. Work by Dweck et. al. has shown that when people adopt this threat mindset, they interpret their inability to achieve the desired outcome as an indicator of low ability that severely impacts their self-esteem [references: Dweck & Legget, 1988, Heiyman & Dweck, 1992; Mueller & Dweck, 1998). In their paper “Challenge versus threat effects on the goal-performance relationship”, researchers Drach-Zahavy and Erez conducted studies where participants were placed in one of three stress conditions – low, threat (negative), and challenge (positive) and assigned one of three goals – do best, difficult [outcome/performance], and strategy [learning/process]. Their results found that difficult or outcome/performance goals were superior in every scenario but one. Performance dropped substantially in the Threat [difficult] goals condition [reference: https://ie.technion.ac.il/~merez/papers/dz.pdf]. So What Goals Should You Use and When Should You Use Them? At present, research indicates that when someone is first learning the skills necessary to tackle a complex project, process or learning goals are superior. And then, once they have learned these fundamental skills, outcome/performance goals are superior unless a “threatening” environment exists. We have all seen employees who are struggling to perform. They are put on a performance improvement plan usually consisting of specific performance/outcome goals (vs. learning goals) and their performance usually gets worse. They take longer, second guess themselves and begin a spiral into poorer and poorer performance, just like the study above illustrated. These lessons also explain my success at sticking with my exercise program. The weekly goals built into the program are learning goals that have kept me motivated to keep learning achieve the next progression. So the next time you are creating goals for yourself or those you work with, consider current skill level, task complexity, and whether there is a challenge or threat mindset. And if I ever achieve that planche hold, I’ll let you know. 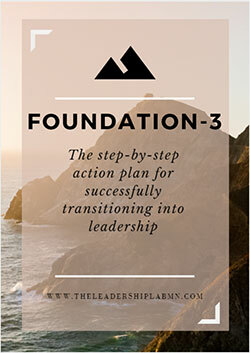 The Step-by-Step Action Plan for Becoming a Transformational Leader! this article The Real Reason Why Your Goals Aren’t Working! Anxious @ Work? 90% of People Get This Wrong! This Simple Change Will Transform Your Workday – Love Your Job Part 2! 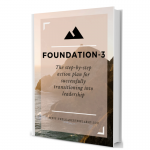 Copyright © 2019 The Leadership Lab 2015. All rights reserved.